Discover the hidden power of the tarot! 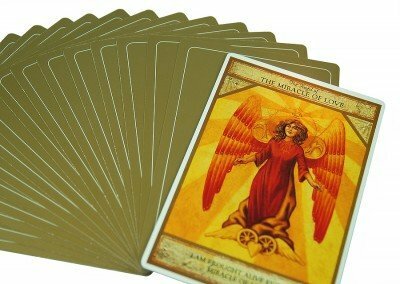 Are you new to tarot or are you someone who has repeatedly struggled to learn the tarot system? Or do you have a tarot deck that you enjoy but would like to learn more about how it works or how to get more out of your readings? Tarot has been around for hundreds of years, but many people avoid using it because they find it difficult to remember the meanings of 78 cards, all of which can be interpreted in an upright or reversed position. That’s 156 cards! Come to this afternoon workshop where you’ll learn lots of “tricks” that will help you remember the meanings of all 78 cards. We’ll start with the basics (e.g., how to select the right tarot deck for you, caring for and cleansing your cards) and then we’ll move to the mechanics of doing readings (e.g., shuffling cards, selecting cards, the importance of your intention, how to ask your question). We will also discuss how to use all types of divination tools for psychic readings (e.g., tarot, runes, angel cards). Anne will share which tool she believes will provide the “best” answer when certain questions are being asked. Your manual will provide you with interpretations of all 78 cards (both upright and reversed), and 12 different tarot spreads will be presented. After a guided meditation that is designed to connect you with a special “tarot guide,” you will then practice doing readings for yourself and others. If you are interested in taking this class, please fill out this form. We will be in touch with you within 24 hours to let you know if there is still room available in this course and explain how to get preregistered. Click here to learn more about IMPART Certification programs for Psychics, Mediums, and Healers. You may select the dates on which the payments are to be made. Registration in the class is not confirmed until you have provided either (a) post-dated checks or (b) credit card authorization. It is expected that all payments will be made before the class date. REGISTRATION: Preregistration is required for this course! To preregister, contact us at Anne@AnneReith.com or call (714) 599-0017 or fill out the form below! If you have a traditional tarot deck (78 cards), feel free to bring it with you. However, extra decks will be available. About a year ago I was looking for a class to learn more about opening up spiritually and becoming more centered in my life. I had come from a very structured religious background so I was a bit skeptical to say the least. I chose Anne’s “Psychic Development & Channeling” class because it said there would be “fun and laughter!” From the very first class I instantly felt like part of the group. Anne was so warm and friendly in addition to being very respectful of people’s various religious backgrounds. She completely encourages listening to yourself to find out whether something is right for you or not. What a breath of fresh air. She is such a natural teacher. (School would have been so much more fun if the classes were like this!) I went alone to the first class and since then I have become friends with so many great people. What a blessing to have met Anne. I do believe that it was Divine guidance that led me to her.